Before his performance, the handsome artist met with lucky guests backstage as well as the press. He told tales of visiting Universal’s theme park with his family, including experiencing the new Transformers 3-D ride. 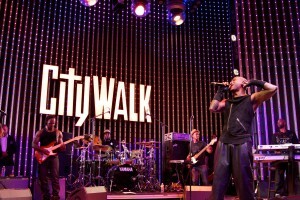 Later, onstage, Tyrese drummed up fan excitement with impromptu freestylin’. One feisty blind woman in a wheelchair who had been given a special spot up front said she’d go anywhere to hear Tyrese sing and she could see him “in my heart.” Fans who purchased Tyrese fan swag got special spots up front as well. The whole audience, young and old, grooved to L.A.’s KISS-FM radio deejays spins and freebie tosses. 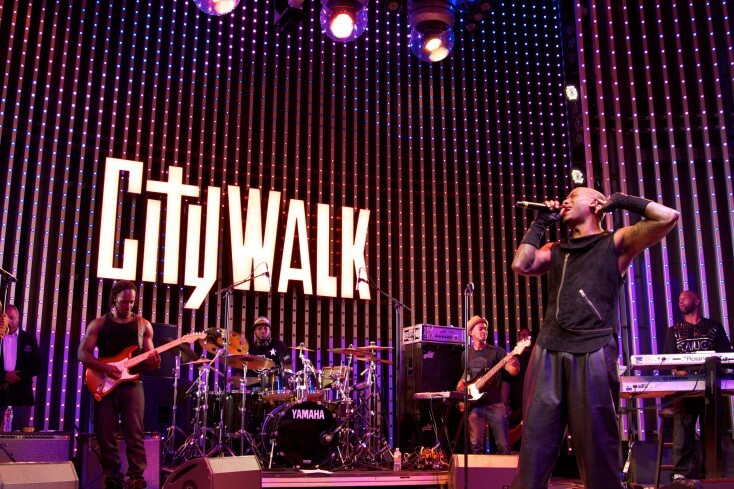 It was a fun summer night at the legendary movie studio’s CityWalk locale. If you are in L.A., come on down. There will be free concerts all summer.